Today’s widely-reported message on arsenic levels in rice misses the point. The issue is not the short-term risks of rice consumption. 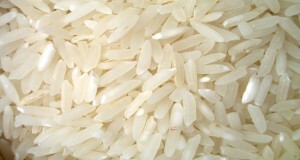 The concern is the long-term effects from exposure to arsenic in rice. As Consumer Reports has said in the past, consumers should not ignore the potential risks from consuming rice and rice products over a long period of time. That’s why it is important that the FDA announced today that it is going to do an assessment of the health risks associated with eating rice and rice products. The potent cancer-causing potential of inorganic arsenic is well established and based on lifetime exposure. Consumers are not well-served if they do not have the full story. The concerns about long-term effects are significant and warrant the FDA’s decision to investigate further. The agency also put out advice today to consumers on how to vary the grains in their diets. This is especially important for vulnerable populations like infants and children. Consumer Reports continues to urge consumers to moderate their rice consumption. Consumers Union, the advocacy arm of Consumer Reports, has called for the FDA to set a standard for high-risk foods like rice.